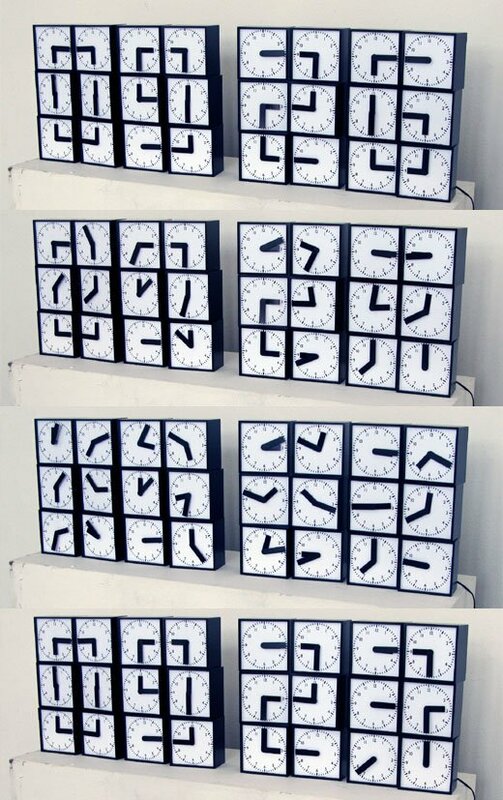 It took me a second to figure out what was going on when I first got a look at this table full of analog clocks. But once I stood back from my screen, I realized that none of the clocks have the correct time and the whole thing is a macro timepiece that tells the time using 24 individual clocks. 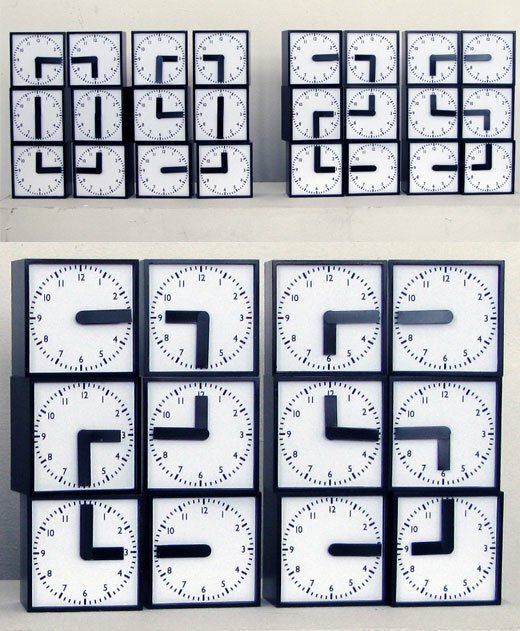 Created by Swedish designers Humans Since 1982, the Clock Clock installation features 48 electronically-controlled analog clock hands which automatically rotate into the proper positions to form a giant digital display. 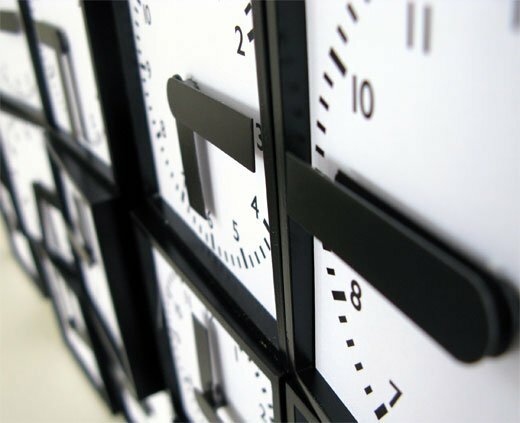 If you happen to be in Sweden this summer, the Clock Clock will be on display at the Röhsska Design Museum June through mid-August 2009. Brilliant idea. Maybe someday they’ll build a miniature version I can put up on my mantle.